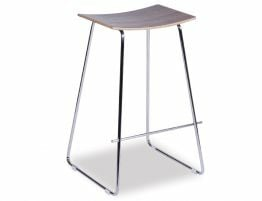 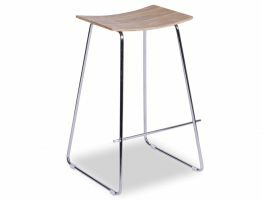 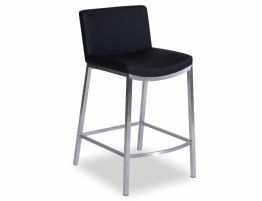 The black Messina Kitchen Stool design isn't just about sleek lines and out of this world high price tags. 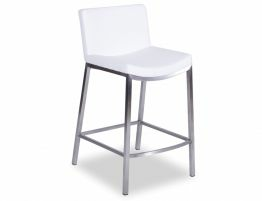 These stools are the epitome of a good design structure that is sure to add a sparkle to your zone. 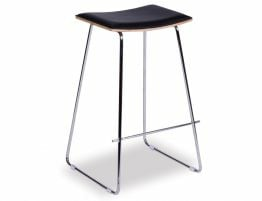 The timber legs are connected to the polypropylene seat and foot rest offering a contrast of colour and timber. 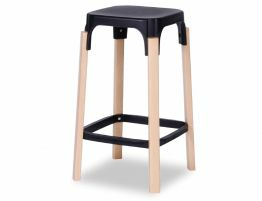 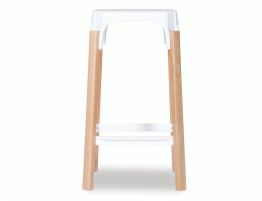 The durability of the poly makes this item one to last a families a lifetime, not to mention falling in love with the quirky design of the Messina Kitchen Stool.